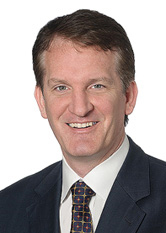 Eric has nearly 20 years of experience representing insurers in first and third-party insurance coverage litigation. He has represented insurers in state and federal courts throughout the country in complex coverage disputes involving environmental pollution under the New Jersey Spill Compensation and Control Act and Comprehensive Environmental Response, Compensation, and Liability Act of 1980 ("CERCLA"); asbestos, silica, and coal dust claims; toxic tort; and other significant claims. He has represented insurers in substantial cases involving Underground Storage Tanks, dozens of Superfund sites and other hazardous waste sites; and tens of thousands of underlying toxic tort claims. He has also represented insurers and administrators of life, health, and disability products in both ERISA and non-ERISA matters in state and federal courts. He has also successfully defended various individuals and businesses in litigation involving construction defects, products liability and commercial transactions. Represented, on an ongoing basis, a number of insurance carriers in the defense of property damage claims as a result of catastrophic weather and other circumstances, including Hurricane Sandy. Successfully resolved an insurance company's alleged liability for the cleanup of hazardous waste resulting from a leaking underground storage tank. Successfully resolved an insurance company's alleged multi-million dollar liability to its insured for asbestos claims through a combination of litigation and mediation efforts in complex litigation involving competing policyholders, dozens of insurers and decades of underlying liabilities and insurance coverage issues. Represented insurer in litigation regarding insurance coverage for the remediation of soil and groundwater contamination arising from the discharge of hazardous waste and chemicals at various sites across the United States. Successfully represented an insurance company with respect to potential coverage for property damage caused by defective roofing shingles manufactured by the insured. Represented an insurer in insurance coverage litigation arising from asbestos, silica and coal dust related liabilities.